Star Micronics Co., Ltd. exhibited the Digital-Receipt service “ALLReceipts” for the small and medium business market at NRF (National Retail Federation), the largest retail show in the USA, held in January, 2015. Solution suitable for the small and medium business, no high-cost hardware is required and easy to deploy. Possible to store image data of exactly same contents as printed receipts. Stores receipt data on Microsoft Azure (*)TM, the best and most reliable cloud server for enterprise applications. 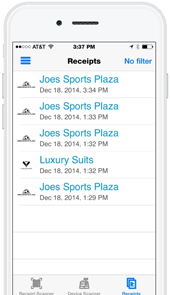 Retailers can utilize the Digital Receipt as journal data. 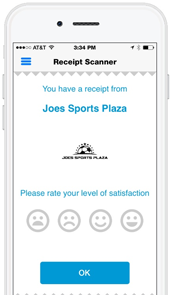 Retailers can receive customer satisfaction surveys (on four-level scale). Retailers can monitor printer status remotely (device management). 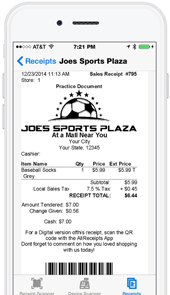 Shoppers can check receipt data in a real time by using a smartphone application. Shoppers can start using this application without any user registration (Easy to Use). High connectivity with other systems (plan to conform to the ARTS XML Digital Receipt standard). The Star Digital Receipt service will reduce inconvenience that existing Digital Receipt services have, such that a received e-mail receipt is buried in the mail box and that it is hard to search a necessary receipt. 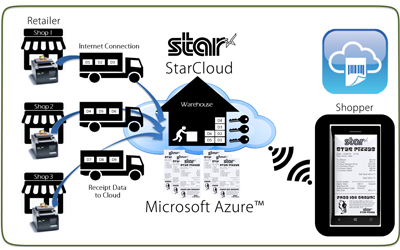 In addition, Star Micronics can realize merits for both retailers and shoppers, by connecting a retailer and a shopper via a printer and by linking a shopper with his receipt data beyond the shop’s categories globally. Star Micronics will start a trial operation of the new Digital-Receipt Service immediately after the NRF and will officially release it in the USA, Europe and Japan in May, 2015. 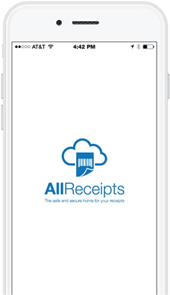 [Images of ALLReceipts Service] * The application design may be changed.